Eating Gummi Bears to Lose Fat? Welcome back to my wold!If this title did not get your attention, nothing will. So let’s dive into the materiel and find out if could there really be a point where it makes more sense to eat sugar than not? For years we have been told to keep our carbs either low or at the very least clean, meaning coming from such wholesome sources as potatoes, rice, whole wheat bread and lentils. So how would gummi bears or any fast carbs fit into that mix? First things first : insulin and fat loss are mutually exclusive, so whenever there is an insulin release in the body hormonal sensitive lipase (HSL) or fat loss stops. Great, all the more reason not to touch sugar ever, right? It is not that simple as that. Depending on who you talk to, insulin is either the greatest hormone ever as it pushes nutrients into the muscle or the most evil thing constructed as it makes people fat. The truth is in the middle: insulin is more or less a transport hormone that will shuttle protein into your muscle but will also act as a fat storage hormone if you are consuming excess calories. So why not keep insulin low at all times? Makes sense, but as always there are exceptions to every rule. In my opinion, insulin should be kept low most of the day but around your workout it is a different story. It comes down to a trade off: halt fat loss for a short while while reaping the following bonuses. Carbs are simply needed to perform better, especially if you lift heavy. Muscle glycogen is used up at a rapid rate, think about 5 grams for every two sets of lifting if we are training within. 80 % of our max. So your average lifter will go through 50 grams of carbs (larger individuals can use even more) in a workout if we assume 20 sets at a reasonable intensity. If glycogen is not replenished, performance will suffer. Simple aka sugary carbs equal a better pump which does several things for you. 1. You look great which will in turn make you train harder. 2. The pump helps expanding the cells and the fascia, thereby setting the stage for growth. As stated above nothing is as anabolic (muscle building) as insulin. It transports nutrients into the muscle thereby setting off protein synthesis and stopping muscle breakdown, which is something you want after your workout. So that alone is a good reason to consume some carbs along with your post workout protein shake. Take your planned number of sets (excluding warm up sets) x 2.5= my pre or intra workout carb number. I add some more carbs if I train legs or back but usually I end up around 50 grams. Post workout: anywhere from 50-70 grams depending on how close I trained to failure. Disclaimer: The above outline will only work if you fit the carbs within your marcos, so do not use this article as carte blanche to eat all the sugar you want. But why not simply consume complex carbs? The reason is timing: complex carbs take time to reach your blood stream. I workout out around 530 am, and I am just not getting up at 4 am to eat a bowl of oatmeal. 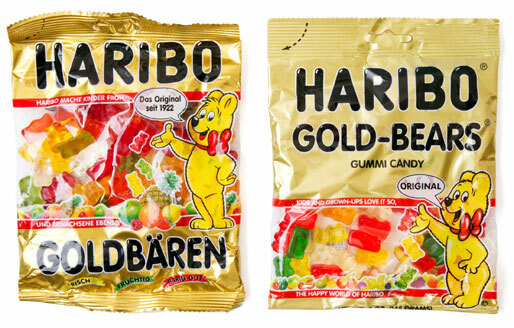 Gummi bears on the other hand can be eaten on my walk to the gym and are available within 15 minutes. If you want something faster, think Gatorade or Waxymaize. The need for fast post workout carbs is pretty self explanatory, if you do not get them into the blood stream fast enough you will not be able to use their recovery benefits. There you have it, I gave you an excuse to eat candy. Previous post: HOW TO EAT FOR SUCCESS! Next post: Triceps pressdowns- a new look at an old classic!